HAYDEN PADDON USES THE BEST! Hayden Paddon uses Alpinestars suits and racewear. "Our new Alpinestars, Hyundai Mobis race suits fits like a dream". The 35-year-old drifting star is one of the biggest names in motorsport - backed by global giants Red Bull and Mazda, Whiddett's journey is the ultimate rags to riches story. The self-confessed teen hoon's life has been littered with challenges but the aggressive and fearless approach that has inspired his driving has seen him overcome obstacles. Stilo helmets are worn by professional and amateur drivers all over the world, including but not limited too: Formula 1, WRC, V8 Supercars, BTCC, WTCC, Nascar and Le Mans. Stilo offers a wide range of products; from Open Face helmets good for Rally, or HPDE Instructors; or Full Face helmets used in Formula or GT Cars. 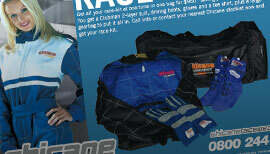 Wanting a Flamecrusher racesuit? Chicane are now the owners and manufacturers of the Flamecrsuher made to measure racesuit brand. 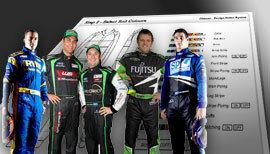 If you want a quality racesuit, made in NZ with a backup and repair service you can trust, visit Chicane Racewear now! Looking for a full Race Kit? Save a lot of money and take a look at our selection of starter kits. You can select your own suit style and colours, then send us your design for a quote.